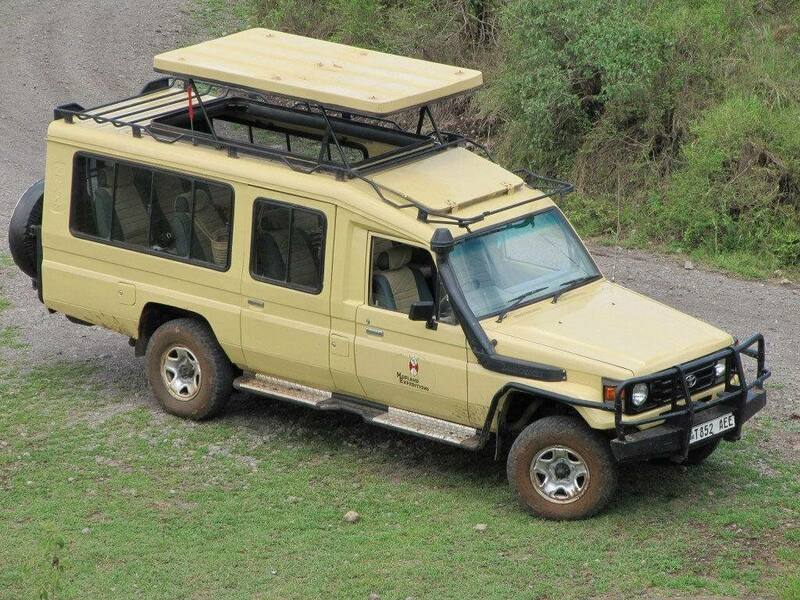 The safari cars which we use are Toyota Land cruisers 4WD and Land Rover Defenders 4WD (we never use the mini busses, we find these less comfortable). 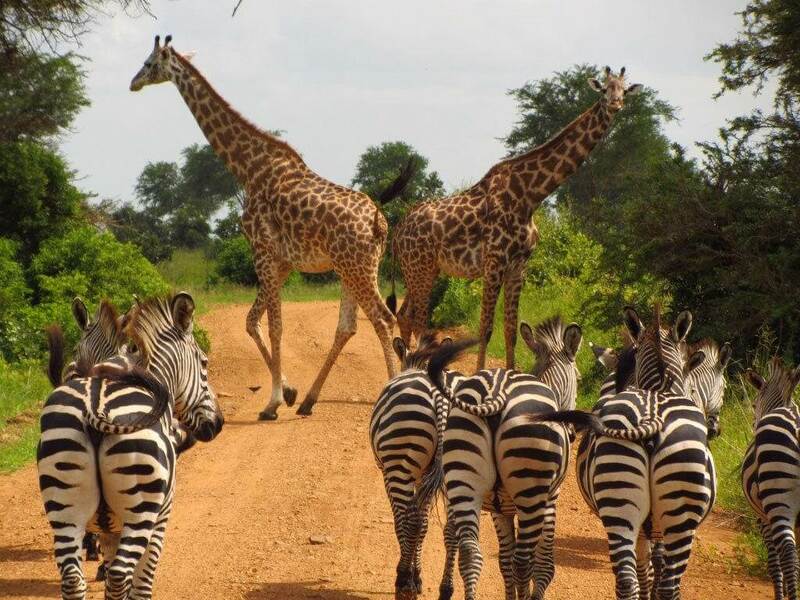 These cars come fully equipped with 2 way radio all emergency equipment to ensure a safe, reliable and comfortable Safari. The standard Land cruisers and Land Rovers offers space for seven passengers, where as extended Safari cars offer seating to nine persons. Further all cars have so-called safari roofs, this means that you can open the roof on two spots, so that you can stand in the car and have the best visibility to watch the wild animals, and the surrounding nature. All our cars have two spare tires and luggage racks.